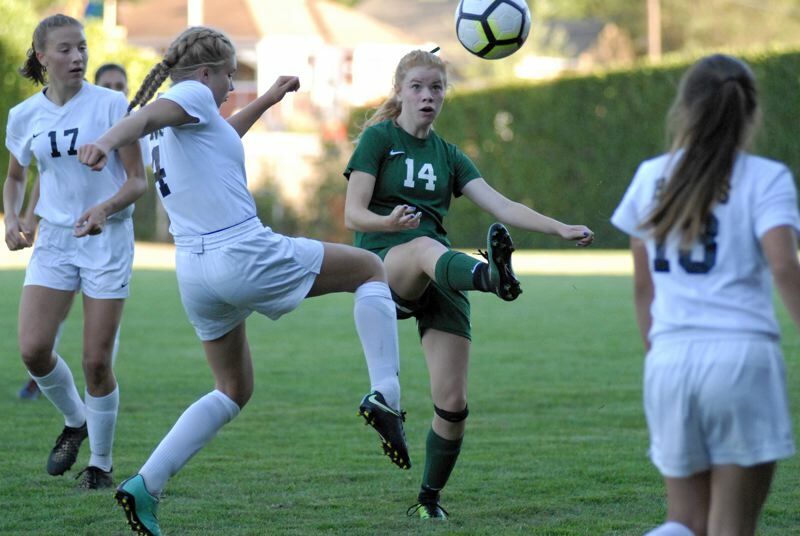 It may have not resulted in a victory, but the Estacada girls soccer squad showed that they are a resilient group in their first game of the season. Trailing 2-0 with five minutes remaining in the contest, the Rangers strung together two goals in the span of three minutes to earn 2-2 draw against Banks on Tuesday. "Having a young team that never gives up and competes until the end is huge," Estacada head coach Heidi Hunt said. "This goes down as a win in my column because they showed fortitude and kept battling, even when they were discouraged,"
Banks was the team that struck first on a free kick in the 10th minutemto grab the 1-0 lead out of the gate. After the score from the Braves, Estacada's Audrey Walter got off three shots in a five-minute stretch, but the sophomore midfielder was turned away each time. Estacada's inability to score early on was not due to a lack of aggressiveness. The Rangers had 13 shots-on-goal in the first half, but none of them found the back of the net. It looked like Estacada's chances were doomed when Banks scored on a corner kick to take a two-score lead in the 62nd minute. However, despite nothing going their way, the Rangers geared themselves up for a rally. Look for extended coverage in the Sept. 6 print edition.